We are the Ostrom family. 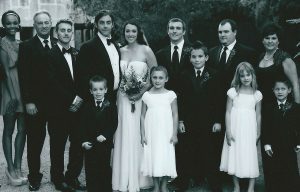 We were married in 2006 and have a blended family with Lon having 2 boys and I, Kathy, having 3 boys. In 2007, we decided to do foster care. I was adopted as an infant and always knew I was adopted. My mother was adopted as well. In 2001, I lost my youngest son to an accident at the age of 3. Unable to have more children and finding Lon who had taught elementary children PE for 35 years, we decided we wanted to do foster care. Since 2007 we have fostered over 50 children and have adopted 6. In June 2007, Elijah, then 3 years old and then Anna, then 20 months old; they were our first set of children. The adoption was finalized in February of 2010. Skylar then joined our family as a foster baby in Oct 2007 at the age of 3 months; his adoption was final in May 2009. Next Jay’La, at the age of 12 in 2010 was our older foster child; her adoption was final in August 2011. Then, Rilee, age 5 and Ayden, age 3 completed our family in 2010, with their adoption final in 2012. Each one of the children come with a “history” and a special need, however that just makes them who they are, we teach them to love one another and be proud of who they are. Fostering and Adoption has kept our family busy and we have had challenges. However we would not change a thing, just knowing we saved and changed their lives, has been so worth it.